The ultimate goal of an online marketing strategy for your small business or startup is to increase conversion rates, which means turning more of your visitors into users or customers. You want to get them to buy your product or use your service, so you create a funnel strategy: first you lead them to the website, then you offer them your services, and ultimately you convert them into customers. In theory, the internet marketing funnel procedure sounds like the perfect plan. The issue is that there is no way to create a successful funnel without first testing it; and once you’ve tested it, you’ll notice that it didn’t work exactly as you had planned it. You can therefore realize that conversions are not an easy matter. 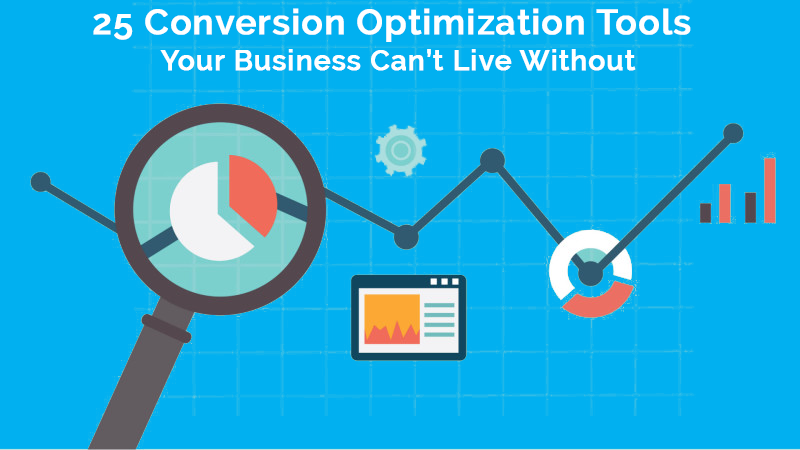 There are so many different ways to optimize your conversion rates. In this post, I’ll list some of the most useful tools for conversion optimization. First, I’ll start from the Analytics tools, a huge part of optimizing conversions is getting the right stats, analyzing them properly and of course, acting on them. Analytics are tools that allow you to track every movement on your website. From Google Analytics (which is the most popular, free option, used by 73% of marketers) to KISSMetrics, from Mixpanel to Clicky — you can use these software tools to track the behavior and actions of your visitors, both individual and group. Clicky is also a popular alternative for analytics; along with the basic information about visitors and locations, it shows real time heatmaps of individual visitors’ sessions. If your website relies on forms a lot, especially when it comes to conversion, I suggest you check Formisimo, the must-have analytics tool for forms and checkouts. Formisimo might have the answer to your biggest conversion-related questions: why do potential costumers disappear from your website, abandoning the conversion process after starting it? For a relatively cheap price ($50/month for startups, $95/month for small businesses), this tool beautifully presents the data and shows you what’s not working with your forms. Looking at the data Analytics tools provide, however, isn’t enough. You may acknowledge their behavior but still have a hard time understanding what the issue with your conversion strategy is as well as how to optimize your funnel for better conversions. That’s what User Testing tools are for! These tools help you observe the way the users interact with your website. ClickTale turns your visitors’ behavior from secret to open information without the need to read and interpret humongous pages of data. Through this tool, you can easily know which pages and links engage your visitors the most, and ultimately which ones lead to conversions and which ones don’t. Another useful User Testing tool is CrazyEgg: similarly to ClickTale, it also allows you to see what people are doing on your website — how they scroll the pages, where they’re coming from, and where they’re going to. CrazyEgg is easy to use and can help you realize what works and what doesn’t in just a few clicks. SessionCam allows you to track the movement of your visitors’ mouse. It’s a great way to analyze the behavior of your potential customers and improve your website. If you’re not sure of what keeps your visitors from becoming customers… why don’t you just ask them? There are hundreds of User Survey tools out there, just pick your favorite and find out how to improve your conversions directly from your visitors! You can’t always formulate hypotheses — sometimes it’s good to have a direct, honest feedback. As I’ve already states there are tons of user survey tools available, however I’ve tried a few myself and have some favorites. First of all, the objective of these surveys is to (1) understand what kind of customers and potential customers you have and (2) ask them what’s preventing them from using your service or buying your product. You can ask them things like: why didn’t you purchase my product? And they can answer things like: well, the delivery price was too high. You can ask: how likely is it, from 0 to 10, that you will recommend this service to someone else? Otherwise just go for a more open-ended question trying to understand what’s wrong. Qualaroo is one of the most popular survey platforms for these kind of inquiries. They offer a small business plan for $63/month, which is very convenient if you own one single domain. If you want something less expensive, try Survey Monkey. Otherwise, one tool I personally used several times — also for some academic research — is SurveyGizmo: I love the sleek designs of their surveys, and the automated analysis they do is very easy to interpret and useful if you don’t want to get lost in the data. Kampyle is another cool tool to get feedback from your visitors. Hear the voice of your customers and make straight-to-the-point optimizations to your conversion funnel. Create the best-looking forms with TypeForms to increase your conversions — I used this tool and found its designs outstanding. AttentionWizard is a revolutionary heatmap tool that simulates human vision of a page for the first 5 seconds of exposure. It gives you some valuable information on which elements (content, visuals, colors…) of your page catch the eye of the visitors by showing an eye gaze path. Another testing tool is Treejack, which allows you to test your IA (information architecture) through tree testing. For $109/month, this tool evaluates the findability of topics on your website and quickly lets you know what isn’t working in your IA setup. If you want to optimize your design you can also try UsabilityHub, which measures the first impressions of your visitors through Five Second Tests, Click Test, and more. Just upload your design, show it for five seconds, and then ask the testers what they recall. Their answers can be converted into a useful list of keywords: it’s one of the most reliable techniques for feedback and design optimization. To recruit testers, try Ethnio: find participants for UX research and put your work to the test! A good alternative is UserTesting. There are also multiple wireframing and mockup tools out there. Both Balsamiq Mockups and MockFlow help you see the interface of your website, improve your design, and work out new solutions together with designers and developers. I’ll conclude with a few more useful tools. The first, for A/B split testing, is called Optimizely: it’s a simple platform which allows you to improve engagement and increase and optimize your conversion rate both through desktop and mobile apps. 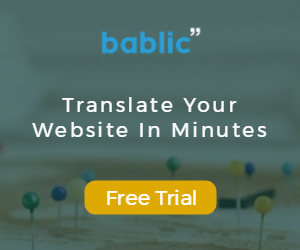 At the moment it’s considered to be the most popular A/B testing and personalization software out there: you definitely want to check it out. Also SiteSpect deals with A/B testing, as well as with speed and mobile optimization. It’s considered to be a leader in its field. One more A/B testing tool is Conductrics. Another tool I’ll discuss offers an underestimated — and yet fundamental — service. Ever wondered how your website design appears in different browsers, both on desktop and on mobile? Browershots shows you your website’s compatibility in just one click: paste your URL and see how it appears on Firefox, Chrome, SeaMonkey, Opera, and many more! A valid alternative to this tool is BrowserStack, which gives you instant access to any browser. Let us know in the comments below which of these tools you found particularly useful to increase your conversion rates.